Jennifer Kelly is the Director of Healthy Chelsea. She is a Licensed Clinical Social Worker with more than 20 years of experience working in the mental health and substance use disorder fields. With a passion for those most in need, Jen has driven the work of the Coalition toward greater impact. Under her leadership, the number of community partners has grown, and the Coalition now collaborates with other communities across the region. 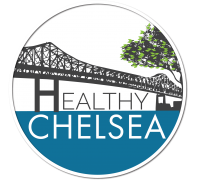 The Healthy Chelsea Coalition has received the SAMHSA Drug Free Communities Grant, a competitive grant which supports community coalitions working to prevent and reduce substance misuse among youth. Healthy Chelsea was also recipient of an Office of Juvenile Justice and Delinquency Prevention (OJJDP) grant aimed at reducing the impact of trauma on the city’s residents. 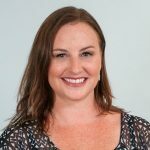 In 2018, Jen was recruited by the Community Anti-Drug Coalitions of America (CADCA) to become a state Prevention Technical Assistance Consultant for their State Targeted Response (STR) Consortium. This project, funded by SAMHSA, intends to provide local expertise in our communities to help address the opioid public health crisis. Prior to coming to Chelsea, Jennifer worked at the Charlestown Substance Abuse Coalition (now the Charlestown Coalition) which is also supported by MGH’s Center for Community Health Improvement. She then moved on to direct the Melrose Substance Abuse Prevention Coalition in the town where she grew up. While in Melrose, Jen obtained Drug Free Communities grant funding, and various youth prevention programs, often designed and delivered by youth themselves, were implemented. She was also instrumental in developing programs and interventions for new mothers and babies addicted to substances. Jen received her undergraduate degree from the University of Vermont and her Masters in Social Work from Salem State College. Jen enjoys the outdoors. After moving from the green mountains of Vermont, she has found her way to the ocean where she enjoys kayaking and paddle boarding near her home in Gloucester.